We are an Epson Express centre which means we have Epson trained engineers qualified to look at your Epson printer and undertake any warranty or post-warranty repairs. 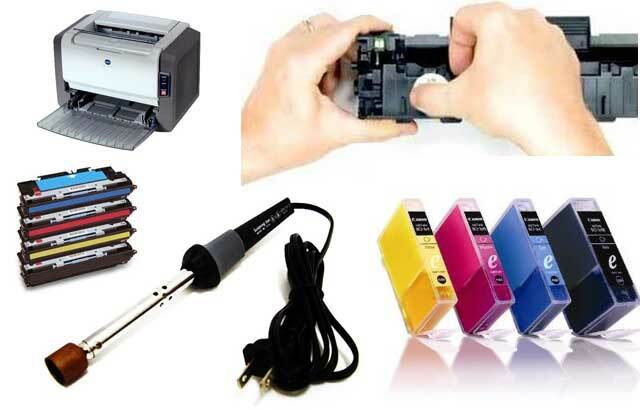 We do supply and repair all brands of printers. A misbehaving printer is often overcome by a small fix which is by far more economical than simply buying a new one. Whatever the printer fault, we can diagnose the fault and advise on the cost and the worthiness of repair or offer a suitable alternative when a repair may not be cost effective. If you are in the market for a new printer, we can identify the one for you which will cater for your needs for years to come in a lucrative manner. We also supply consumables such as ink and paper for all brands at competitive prices.